The Spanish restaurant scene in Toronto has gone from fledgling to flourishing over the past decade and is populated with some quality names (think Cava and Patria as starters) but arguably the hottest destination since it opened is Bar Isabel at 797 College Street, mere steps from Ossington. Along with our friends, one wintry Sunday evening, we made our way toward the beckoning neon light, past the rustic door and enjoyed a wonderful evening of fine food and attentive service at the creation of Grant van Grameren and Max Rimaldi. Bar Isabel's philosophy is Eat, Drink and Be Merry; it is Toronto's spot where Spanish food meets hipster cool, where an energetic vibe mixes with cool cocktails and craft beer; and it does this every day, without fail, from 6pm to 2am. Drinks started with A Doctor's Orders and West Avenue Cherry Cider, accompanied by two glasses of Ana de Codormiu Brut Cava and a glass of Château Eugénie malbec from Cahors. Starters were two orders of the heavenly Sobrassada of Foie Gras and Honey Montadito that simply melted in our mouths given the way the liver was finely shaven. 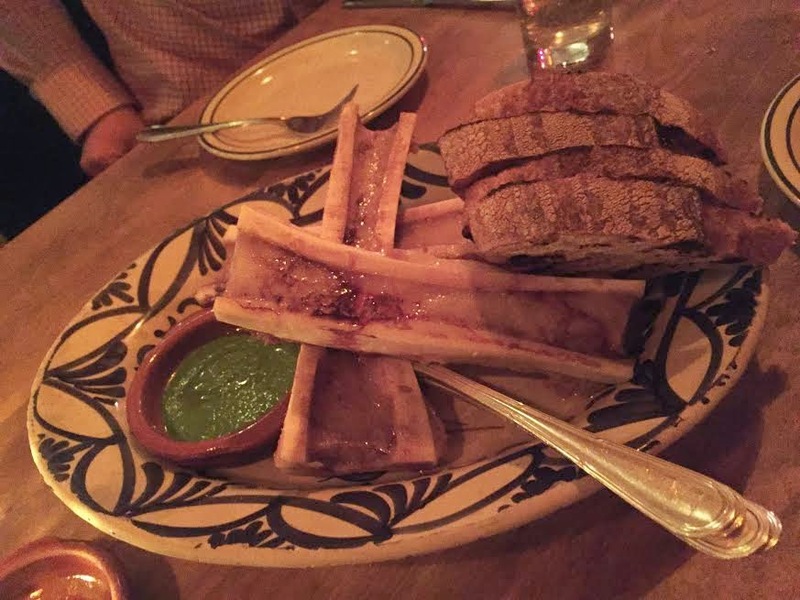 There was an order of roast bone marrow which was not the highlight of our evening -- it was competent but didn't reach the levels that we have tasted at restaurants like Biff's or Victor. 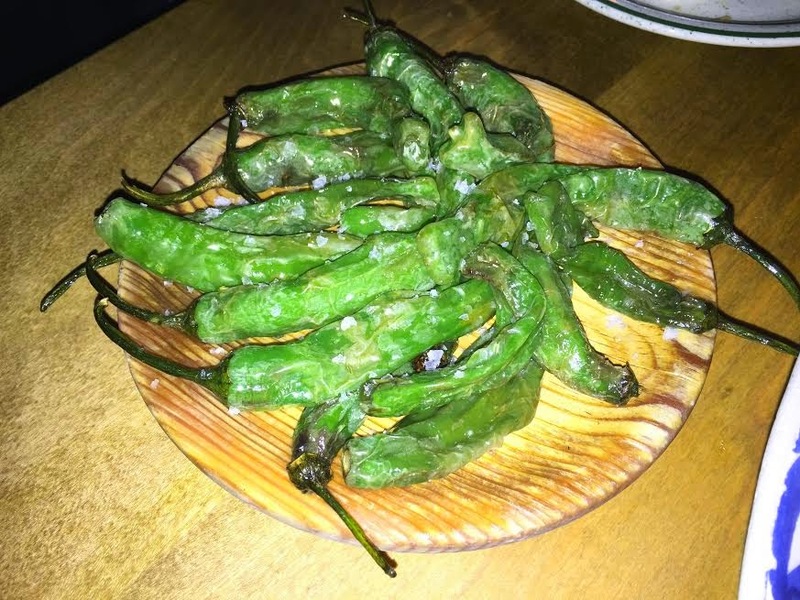 We added sauteed Shishito Peppers and felt that these could have done well with a addition bit of heat that typically accompanies spicier fare -- we understand that the heat profile presented was deliberate but feel that the hype over this finger food is overdone given our personal palate preference. Following this was a superb order of Razor Clams that were gently grilled and lovingly immersed in garlic butter, chili and sprinkled with parsley. 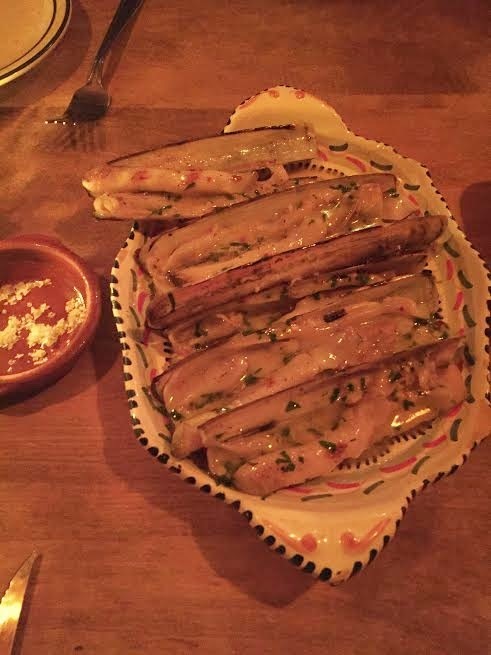 Be certain to order some extra bread (as we did) to soak up the flavours from this dish. The apex of the evening was the whole Octopus, a 'must have' dish if you are in a group. Get it while it lasts since the rumor is that it won't always be on the menu. 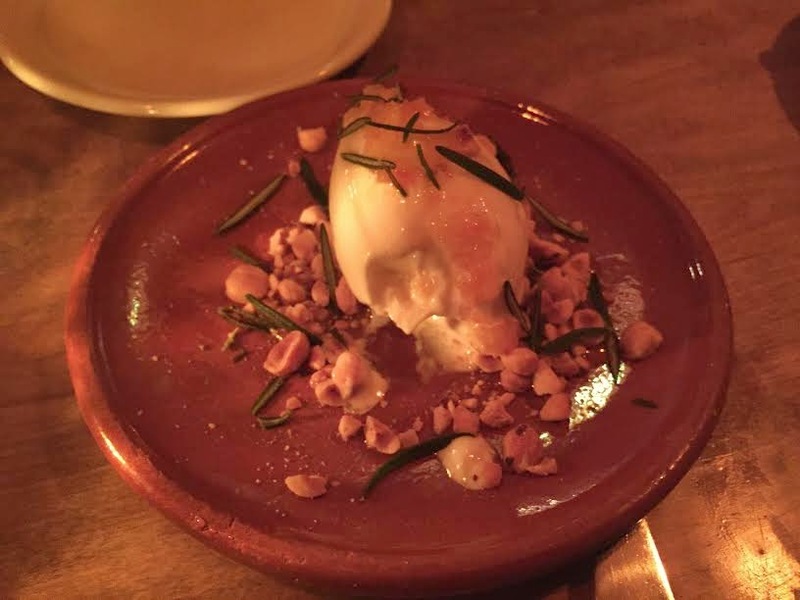 Dessert consisted of two orders of Sour Cream ice cream, with salted hazelnut, candied orange and rosemary and a cheese plate. The total bill for a party of four came to $235 plus tax and gratuities. 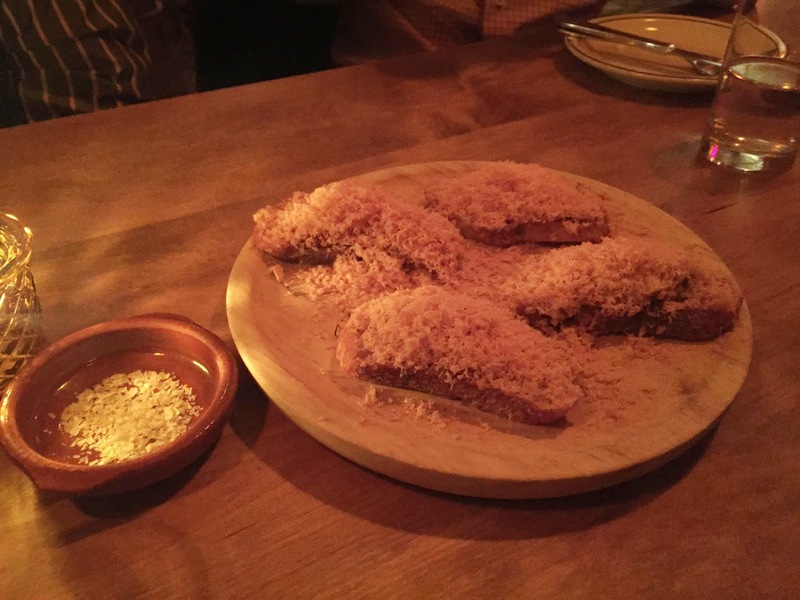 Bar Isabel lived up to the hype: one superbly crafted plate after another, professional but not intrusive service, and an energetic vibe that welcomed all. 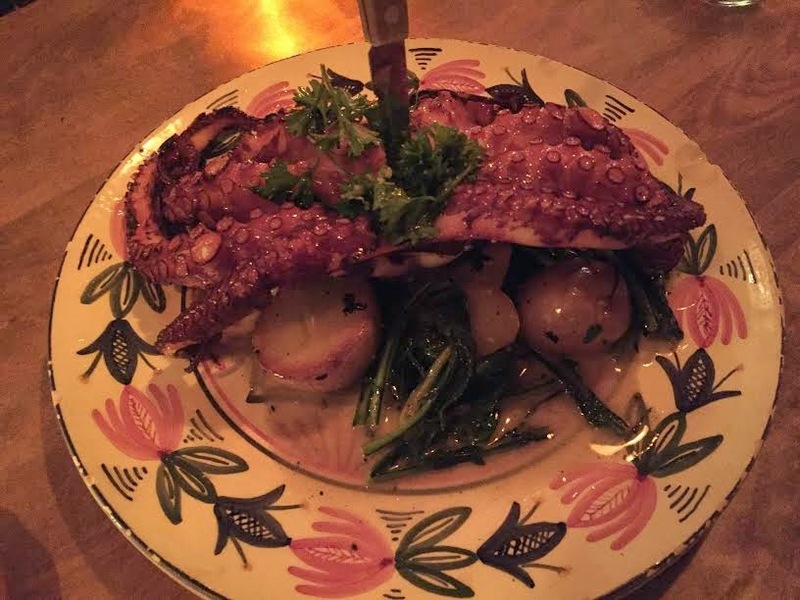 Excellent, a memorable evening at a restaurant that we would strongly recommend, so don't miss out if you want a panoply of Spanish flavours at the western end of Toronto's Little Italy.